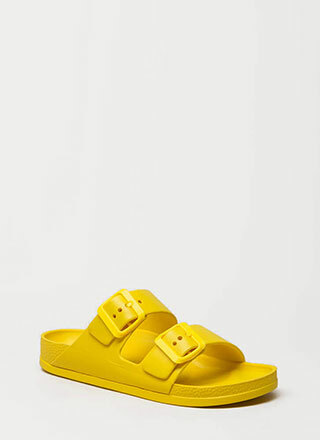 These babies provide style, height, and comfort -- what a score! 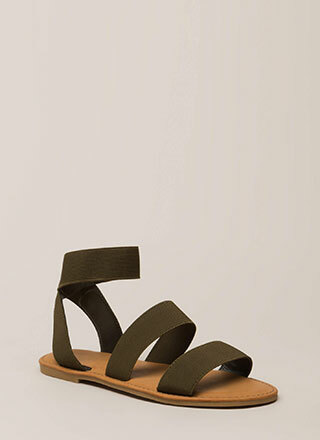 Open-toe vegan suede slide sandals feature four laddered straps and a platform with a ridged sole. No closures are included.